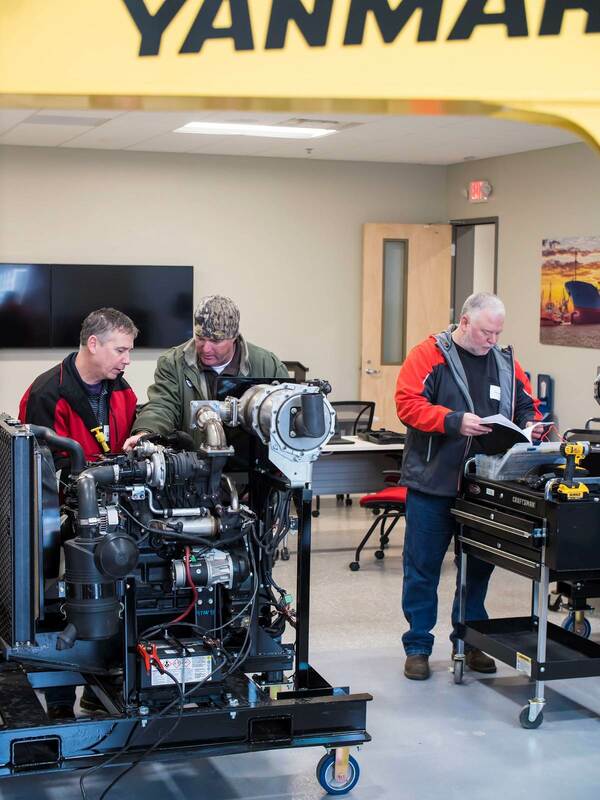 YANMAR and the American Boat and Yacht Council (ABYC) are teaming up to conduct marine technician certification courses at Yanmar Academy which is located at the new YANMAR Evo Center in Acworth, Georgia. A YANMAR trainer will facilitate the course with ABYC’s guidance and certification materials, making ABYC Certification more accessible than ever for rising marine technicians. YANMAR Academy brings a systematic approach to training with a variety of course offerings for YANMAR product lines, including agriculture equipment, construction equipment, utility task vehicles, industrial diesel engines, energy systems and marine diesel engines. All courses are led by staff experts and conducted in state-of -the -art, product -specific training labs designed with student computers, 60-inch computer displays, advanced audio systems for student convenience, master and student tool boxes as well as room exhaust systems.